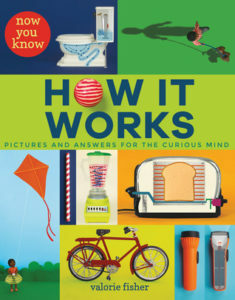 This book explains how different objects you use and experiences you have work in real life. It is a simple, informative book about technology and inventions. It is a great book for younger kids. Most of this information was very basic. I did enjoy the bright bold colors and there were quite a few things that were really cool and I learned some things I never knew. I would definitely recommend this book for younger grades.